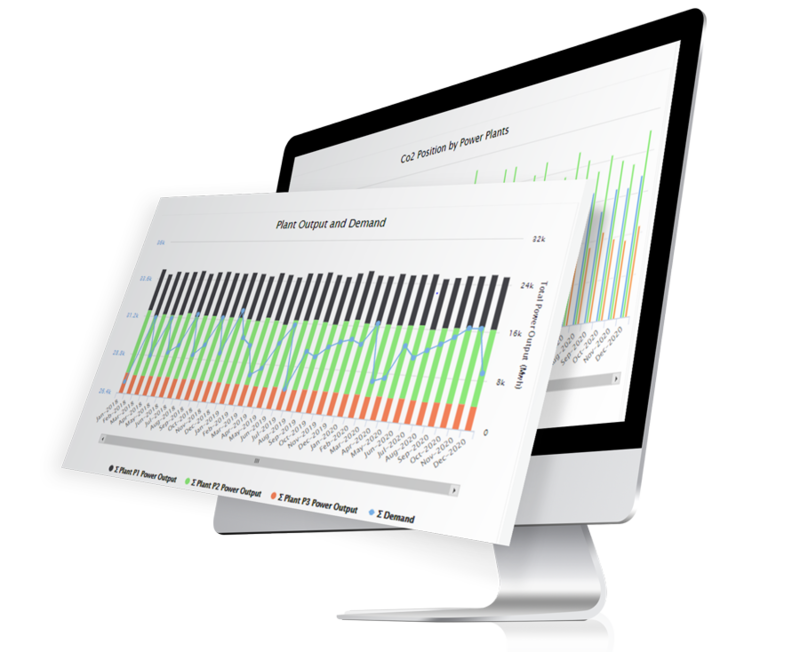 Hedge CO2 exposure and mitigate environmental compliance risk with real-time visibility into your carbon portfolio. Comprehensive insights help you make the right hedging decisions. View your current and future CO2 positions vis-à-vis prescribed cap limits over a specific period of time, evaluating registry and inventory or stock details. 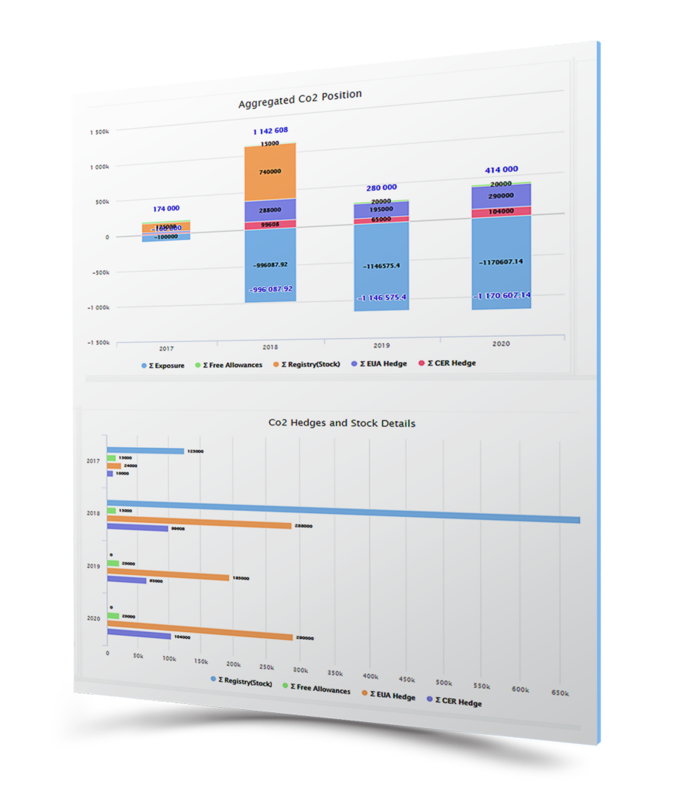 Mitigate CO2 exposure by buying or hedging extra allowances with better visibility into CO2 positions at aggregated and detailed levels. 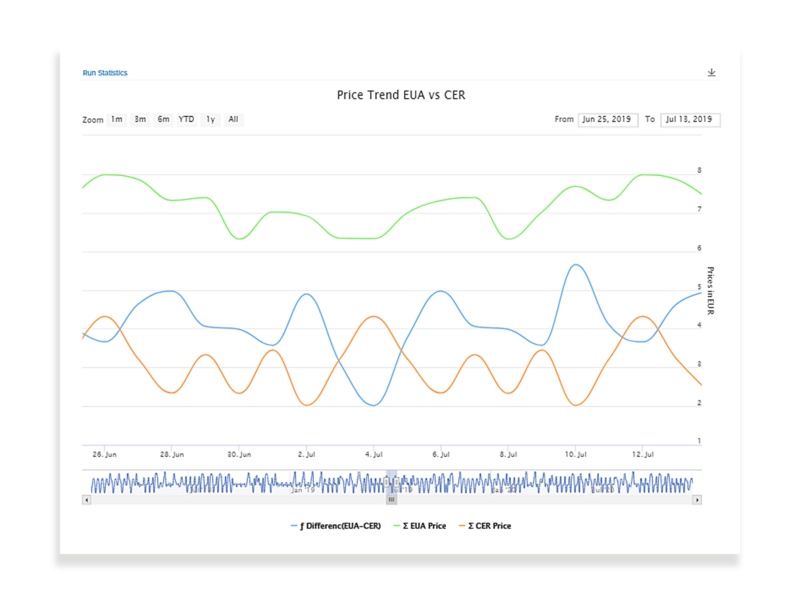 Make the right swapping decisions based on current market price trends such as CER, EUA, and more.